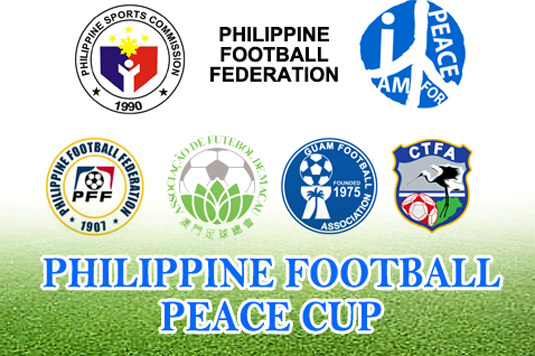 Philippine Football Peace Cup in Rizal Memorial Stadium, Manila will begin tomorrow, September 25, 2012. It will be a 3 days event wherein 4 counrties will battle in the field as to prepare themselves in the upcoming 2012 ASEAN Football Federation Suzuki Cup this November. Before the game, Azkals head coach, Hans Michael Weiss has now revealed himself, who're the players that will be present in this game tournament. If you'll notice the siblings Younghusband's have not been included in the above mentioned lineup. In a statement released by Azkals' management and coaching staff in their official site there are no direct explanation why Phil and James Younghusband is not included in this tournament, although there are some points in the statement that is nearly to be the reason why the siblings will not be present in this tournament. In the statement it says, "Unfortunately, not everyone in the team could assure us of this; a few have already signified their unavailability for some crucial activities leading up to the tournament." In a block quote, the official statement is completely taken down below. Only 2 months remain until the Azkals compete anew in the Suzuki Cup, a biennial football tournament organized by the Asean Football Federation. The Suzuki Cup is very significant for the Philippines. It was the 2010 edition of the Cup that started the resurgence of football in our country; it’s key to why our local football leagues are now bigger and better, and why many more kids have taken up the sport. The Suzuki Cup also drastically changed the lives of our national players: from being virtual unknowns in 2010, the Azkals are now recognized as local sports icons, peace ambassadors and even product endorsers! But while we feel excited and optimistic about the tournament, we must also manage our expectations. The 2012 Suzuki Cup will be more difficult since we are not coming in as a surprise team anymore. Also, despite the renewed work on our grassroots training program, the Philippines is still a greenhorn compared to our ASEAN neighbors. All the same, we refuse to let these difficulties stop us from training better and working harder as a team. We still aim to win and not just participate in the Suzuki Cup. As we enter a more rigorous phase of preparations for the tournament, the PFF has lined up a series of games and training camps that will culminate in a friendly versus Singapore in November. Given this grueling schedule and the demands it will entail from the team, we have asked the players to give their unequivocal commitment to participate fully in the preparations. Having greatly benefited from Suzuki Cup 2010, we expect our players to work harder than ever this year. Unfortunately, not everyone in the team could assure us of this; a few have already signified their unavailability for some crucial activities leading up to the tournament. While this is admittedly a setback in our plans, we understand that family obligations and club/work commitments sometimes take precedence. The coaching staff will instead make adjustments in the game plan and in the roster of players, starting from the PHILIPPINE FOOTBALL PEACE CUP. As we get ready to play for flag and country, we rely on our athletes, football officials and supporters to come together again for the beautiful game. Still, we would like to give our support to the Azkals team. Via sharing this post to your friends in Facebook, Twitter, Google+ and Pinterest, you may too can help support our team in this Philippine Football Peace Cup 2012. For more of the details about Azkals' schedule in this game tournament, you may click the link provided below. Philippine Football Peace Cup 2012 Schedules. Comments or suggestions about "Azkals' Philippine Football Peace Cup 2012 Players Lineup" is important to us, you may share it by using the comment box below.